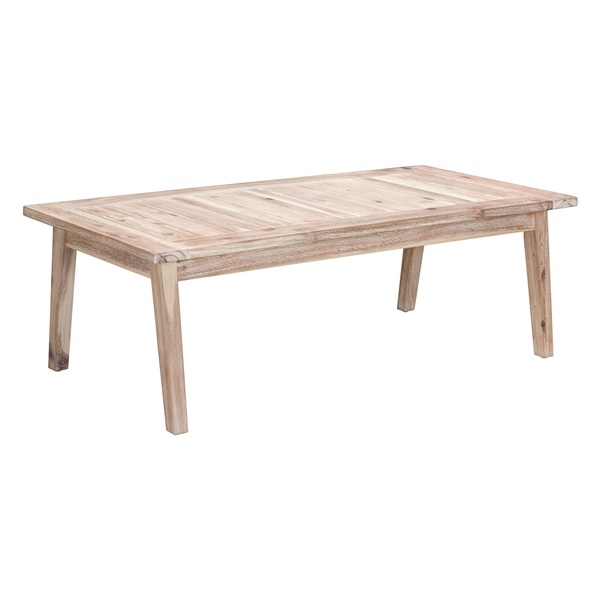 The coastal style of the South Port Coffee Table will bring relaxed vibes to your outdoor space. Boasting a plank style top and flaired legs, its acacia wood construction with a white wash finish exudes simplicity. Paired with the South Port Sofa, it is the perfect combination to add to your deck, patio or pool area.